Both our ARkit titles are called out by Sensor Tower as top download titles in first 6 months. 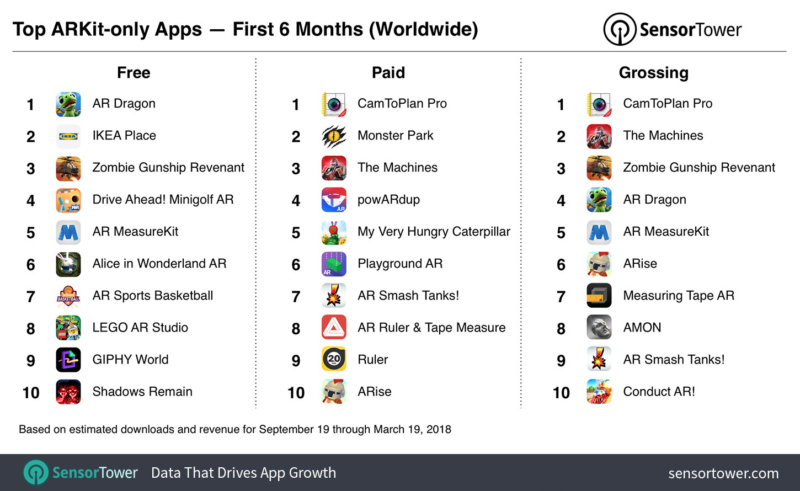 Data Firm, Sensor Tower, have gathered download and sales data for the first 6 months of ARkit apps and both our titles have made the list! ARise features in both the top grossing and download paid app for games and features in total apps. Our partnership with Lego for AR Studio is also featured coming in at number 8 for most downloaded.